I’ve taken to writing about the software and services I pay for each year (2017 and 2016 are here). Not much has changed, but I think it’s helpful to share the things I find to be worth the money. I paid for the CalDAV-Sync and CardDAV-Sync apps on my phone. They’re not free, but they’re one-time purchases. CalDAV, which I mentioned last year, lets me use Fastmail as my calendar and CardDAV lets me use my Fastmail address book, keeping me out of the Google ecosystem on my phone (if you ignore it’s an Android phone…). It took a bit of time to get my Fastmail address book together, but it’s well worth a few hours to know I can take my contacts with me anywhere. I forgot to mention this last year, but I use a VPN on my phone and computers. I use privateinternetaccess (who have a nice Linux client). It’s around $40/year. Sometimes I can’t access certain sites because they can see I’m coming from a VPN but in general, I feel good paying for an additional level of privacy. It hasn’t killed my phone battery life, either. I got off LastPass, because it seemed less-than-secure. I didn’t use it for anything terribly important, like banking, but it still seemed like I should explore other options. Opensource.com mentioned Bitwarden and I liked it enough to pay for it, at a very reasonable $10/year. I’m not sure if this counts, but I support the Mastodon Patreon for $1/month. Twitter is rough. I love it for news and for promoting my work, but it can be a dark, sad place. Mastodon is better, mostly because it’s smaller, but I like the idea of supporting something that might someday lead to better online discourse. Here I am on Mastodon, by the way. I also pay for music. Not via Spotify, but actually buying CDs and MP3s I can download. So I always have the tracks and never have to worry about losing access. Remember the Milk: It’s how I get through life. Newsblur: The price is now a steep $36/year, but it’s something I truly love. WordPress.com: Because I’m willing to pay for the privilege of not having to keep a WordPress installation updated. New York Times and The Athletic subscriptions. I also added the Washington Post. Pay for journalism you trust and enjoy! Please! Fastmail: Still one of my favorite things. It’s a great service. Given everything we continue to learn about Big Tech, at least here in the United States, I don’t know why anyone would trust a cost-free service with anything important. Dropbox. It works well but the company is just so rudderless. Instead of maintaining a core service, it feels like they’re always trying to pivot to something else, at the expense of the core service. Their dropping support for btrfs was inconvenient for me when I was using OpenSUSE Tumbleweed. But I couldn’t find a better tool than Dropbox, so I just switched to Linux Mint, which uses ext4. However, I’m open to switching to a service I don’t have to host or support myself. I dropped Trello Gold because it didn’t seem to give me anything extra. I’m using Trello less anyway, and using AirTable for lots of stuff. In fact, I wish AirTable had a tier that wasn’t $10/month. I’d love something for individuals at $5/month. OneDrive. I was using Dropbox for my work files but I lost a lot of the free storage I had accrued. I wound up switching to OneDrive for $2/month and it was pretty easy to use at a fine price point. I was able to dump the subscription when my institution switched to Office 365, so I still use OneDrive at work; I just don’t have to pay for it. Interestingly, my $2/month OneDrive account was non-stop up-sell but Office 365 leaves me alone. Perhaps because there’s no higher tier! The list above is not all free and open source software, but it’s all stuff I depend upon. I also donate to the cost-free open source projects upon which I depend. I encourage you to do the same, if you can afford to. I moved to GNOME from Xfce a few months ago (spurred by a new desktop machine), but I couldn’t find the time to write up my experiences. Canonical announcing the death of Unity last month seemed like a good to finally get my thoughts down. Way back in November, I got a new desktop. My beloved Thinkpad T420 was aging and slightly slow, but since it never left my desk, a small desktop and large monitor seemed to make more sense. I knew from the beginning I was going with GNOME, since it’s always felt fast and wired for people like me, who don’t want to use their mouse. Of course, Xfce has that same kind of configureability, but if I was using new hardware, why not take advantage of the processing power and use something nice looking, like GNOME? I went with Ubuntu GNOME 16.04 and it required very little time to perfect. As near as I could tell, it came with GNOME Tweak preinstalled, making it easy to customize (and making me, like Steven Rosenberg, wonder why any GNOME system wouldn’t have it pre-installed…). After that, I was all set. I wanted to change the background color of my desktop, but I couldn’t figure out how to easily do that so I gave up and my computing life hasn’t suffered too much for it. I also wanted to use the default system-wide GNOME calendar (aka, Calendar), but to do that, I had to configure an Evolution account (Evolution is GNOME’s default [and bloated] email/calendar application), which felt annoying since I use Thunderbird for my email and calendar. I was able to add and then remove the Evolution account and preserve my Calendar settings, but it would be great if there was a direct way to configure Calendar. The new, much more robust California calendar application, which isn’t installed by default, seems to allow you to manually add calendars. Also, here’s a nice explanation of why GNOME has two calendars. I installed a few extensions (AlternateTab, which should be called NormalTab; Clipboard Indicator; and Hibernate Status Button). I love that the extensions are handled through the web browser. And now you can even use Chromium, which wasn’t the case a few years ago. Other than that, using GNOME has been easy and uneventful. The worst thing I might say about it is that the software updater hides from my mouse the first time it opens. Start to finish, from installing Ubuntu (the Dell never even got to boot into Windows! ), to having all of my accounts set-up and configured, was like two hours. I think I’ve spent more time deciding what to order for lunch. My workflow is that I use the super key and type whatever files, folders, or programs I want to open. Everything is fast and looks nice, but most importantly, I don’t have to think about my desktop experience. In reflecting upon the move to GNOME, I’ve wondered if GNOME is that good, if I’ve gotten good at understanding what I need from a desktop environment, or if I’ve matured and am less concerned with tweaking every aspect of my desktop experience. After much internal deliberation, I really do think it’s that GNOME is a great fit for someone like me, who doesn’t want to use a mouse. It works very well out of the box and requires very little customization to work for me. What little customizations I did want are amazingly simple to implement with the extensions. I remain surprised GNOME Tweak doesn’t let the end-user easily do more with the overall look and feel of the desktop—especially the desktop background—but it’s an extremely small price to pay for being able to have my desktop environment perfectly configured in just a few hours. Elio Qoshi is the person behind Ura, a fascinating design studio dedicated to improving design in free and open source projects. As part of that mission, Ura works with projects of all budgets. When we talk about open source, we’re usually talking code first and then—maybe—documentation second. Design is often an after-thought. But as designers like Elio get involved in open source culture, that order could eventually change. Why is design such a challenge for free and open source projects? more complicated than programming. For example, there is still no established git equivalent for visual design. Given how many designers use proprietary software (no judgement! ), how can more be brought into the free and open software movement, both as users and contributors? People expect GIMP and Inkscape to magically improve one day. This is the wrong approach. I have used GIMP and Inkscape for quite a lot of my design tasks and once you get the hang out of it, it’s a full-fledged Adobe alternative. Instead of paying your Adobe Creative Cloud subscription, you could make a small donation to these FLOSS projects and watch how fast they would improve. I also am really amazed how many designers miss the opportunity to get involved in open source. The entry-level barrier is low, like nowhere else, and your work could easily be seen all around the world, with the financial aspect following soon rather quickly. I believe that people need to get out of their comfort zone first, which is an important step. After all, no one ditched their Macs and iPhones one day and went fully GNU/Linux the next. It needs a stream of constant little changes, just like going to the gym. There’s often a feeling that design has no cost attached (a la this article). Do you worry Ura reinforces that misconception? I am a firm believer that you get what you pay for. When I started Ura I expected some people to abuse it by requesting free designs, but these cases were always justified, as these projects were not able to pay any coder, let alone designer, because they were usually hobby projects. Most people who approach us at Ura are limited with their budget; it’s not that they don’t see the value in investing in good design. So far I have had more requests with quite reasonable budgets than design requests for free, which gives me hope that open source communities have great empathy. Furthermore, I encourage people who ask for free designs to pledge via our Patreon campaign, which allows Ura to help open source projects without a budget. The more people pledge on Patreon, the more we can help projects which lack the budget for design. What are common design mistakes you see in open source projects and how can they be avoided? I recently started working as a brand designer for Tor and the classic problem I see time and time again are branding guidelines not being respected. You can see it anywhere, from Firefox using an old logo somewhere, to the various versions of the Tor logo. Projects like Red Hat or O’Reilly are really able to avoid this problem, but then again, they are usually not community-focused and have VERY strict branding guidelines which would not work in more casual open source projects. Things like this could be solved by educating community members on how to use the assets correctly. Eventually it will stick and we designers won’t need to do design policing anymore (which we should’t do anyway…). If you could get every open source project to follow one design principle, what would that principle be? Definitely flat design. While it can get repetitive or boring if done mechanically and by-the-book, it can rarely go wrong. It’s a safer bet than playing around with shadows, gradients and skeuomorphic objects. Which open source project has the best branding and/or logo? Why do you like it? Definitely Red Hat. It’s clean, simple, unique and leaves very little space to break the branding guidelines. It’s also very flexible as a branding, with various colors and use-cases. They are quite good at “owning” the red and black combo. Their branding translates well into other mediums, too: you can see people with actual red fedoras walking around. It makes you kind of jealous when all other projects have is a branded t-shirt. It’s a great way to differentiate yourself from other projects. Tux is one of the works I am to afraid to touch. It embodies a lot of history and background for the whole Linux community, which I believe is quite a lot of weight for a designer to carry on his shoulders. 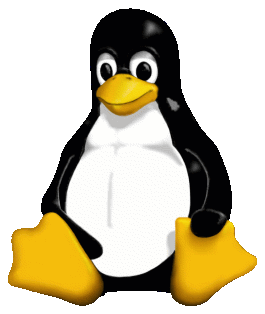 I believe that the penguin as a mascot is a total success for Linux. Linux owns the penguin world and that is an achievement on its own. There are some simplified versions of Tux, which are quite more modern and I find those fitting for today as well. I would personally do a completely different take on Tux if I did the logo today, but as I said, the sheer weight of brand history Tux comes with should not be treated lightly. It’s like redesigning the floppy disk “save” icon. It’s really outdated, but would you have the courage to redesign it? Today Calendar: Of course Android comes with its own calendar, but the Today Calendar gives you more views and just looks much nicer, from including the weather, to custom colors, to telling you how busy your day works. It costs around $4.49 and is well worth the price for anyone who’s dissatisfied with the stock Android calendar. Remember the Milk I’ve covered my RTM love pretty extensively, so I won’t belabor the point! I understand $39.99 is on the pricey side for an annual subscription, but it’s worth it to me, as it’s a tool I really depend upon. Outlook.com I’ve also discussed my use of Outlook.com, which I’m still not super proud of. I intend to move to Fastmail once things slow down a little bit for me, but in the meantime, Outlook.com continues to be a pretty great service. I pay $19.95 for the ad-free version of Outlook, because email is important and it’s something one should pay for. LastPass I still use KeePassX for all of my important passwords. I also now use a separate instance at work. But I use LastPass to handle all of the dumb passwords I don’t care about. Essentially all of my non-banking/financial ones. LastPass is useful because it’s seamless, tracking everything across browsers and computers. There’s a free version, but the paid version is just $12/year. And I don’t want to mess with passwords—even throwaway ones. Newsblur I was crushed when Google Reader was killed but Newsblur is so much better than Google Reader ever was. The Android client is wonderful, it can often extract the full-text of articles out of truncated feeds, and you can even train it to “learn” what kind of articles you like. The interface feels like a client. I’m a huge fan and it’s totally worth $24/year (there’s a free, limited version, too). Newsblur isn’t a company; it’s pretty much a one-person shop (and a free and open source project), so I like that I’m not just supporting a tool, but a developer and project. Dropbox I used and paid for SpiderOak for years but their support is pretty awful, with support requests taking weeks to resolve. I used Dropbox on the free tier for a few months and it was great. I just finally got around to becoming a Pro user. Fliktu Android’s default share menu is a gigantic list of every shareable app on your phone. It’s awful. Fliktu figures out which apps you use most for sharing, but also has a simple navigation. It’s easily the best $0.99 I’ve ever spent. I was a paid Evernote user but I let that lapse since I didn’t feel like I was getting much value from the subscription, but also because I’m now using Google Keep for my notes. With a lot of these apps, I’m just paying for convenience. I don’t need LastPass per se, but it’s worth $1/month to be able to easily log-in to sites across all of my computers. In the case of Dropbox, I could run an OwnCloud instance, but I want stability and redundancy. My admin skills can’t compete with the Dropbox team. I wish more free and open source tools had easier support/subscription options—perhaps even built-in to the software, like a donation button you can configure to appear. I’m sure lots of people would love to give LibreOffice or Firefox a few dollars a year, but finding the links and getting the money over is hard. I hope more projects figure out a way to integrate support without nagging users. It’s a fine line, but one I think more projects should explore. One of the neat things about writing a book about Linux is that it has “forced” me to try out some software I haven’t otherwise gotten around to trying. I recently finished up a chapter on customizing the terminal, and it includes a section on alternative terminals. This was the chance for me to spend some time with Guake, the roll-down terminal based upon the beloved first-person shooter’s windowshade menu. There isn’t much to Guake. It’s a terminal. But it’s bound to the F12 key (which you can change) and it rolls down instantly. While I’m sure this has a cost in terms of CPU usage, I haven’t noticed anything. Instead it’s just a fun and fast way to get a terminal and then get rid of it. It has a nice tabbing display, but I rarely have multiple terminals open. The only issue I had with it was that my top Xfce taskbar was blocking the top of Guake. It was easy to fix by going into the config and setting the window to open a little bit lower on my screen. (thanks to AskUbuntu for the tip)! I’m not sure I’d call Guake practical. It doesn’t solve any problem for me that the default terminal doesn’t. It just makes me smile every time I summon it and then roll it back up. UPDATE A commenter points out this is already baked into Xfce Terminal!